These beautiful pink cotton candy lever back dangle earrings are hand painted. There is a layer of tiny blue and pink glitter pieces that shimmer in the light and there is a slight shift in the color of the glitter layer. 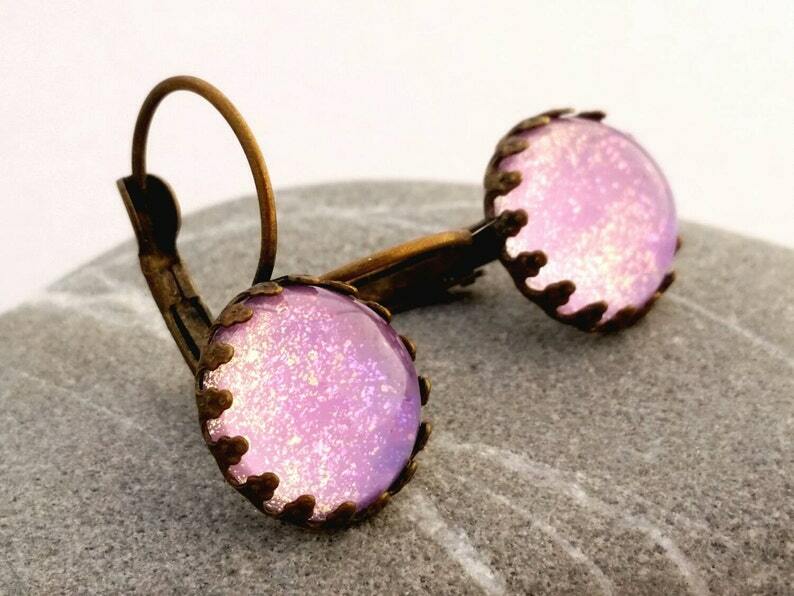 Antiqued brass, princess style, lever back earring settings house the 12mm glass cabochons. 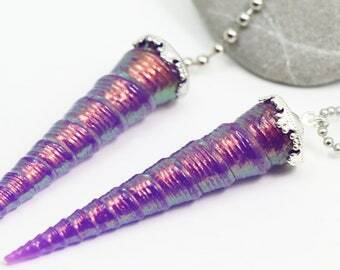 These earrings are hand painted, using a technique similar to the popular nail polish jewelry making rounds on Etsy. My creations are the most unique you will find because I add extra powders, glitters, flakes and layers. I don't just paint from a jar of nail polish and sometimes it's not nail polish. I also like to use high domed cabs and vintage cabochons that are faceted to let more light in which will brighten the colors and make the shimmer or glitter's flash more dramatic.